Environmental Efficiency now offers a comprehensive tank integrity inspection service. 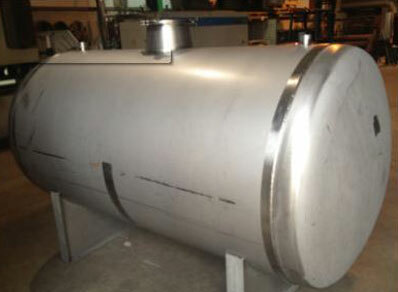 This integrity inspection covers above and below ground atmospheric tanks (ASTs). This service compliments Environmental Efficiency’s existing bund integrity assessments. Whilst the EPA requires bunds to be tested every three years, the frequency of tank inspections is dependent on a number of factors but is typically between every 3 and 15 years. Environmental Efficiency offers an inspection service in accordance with Section 3.2 of Appendix G of the EPA Technical Guidance on the Transfer and Storage of Hazardous Materials. This includes a full visual assessment of the tank outside and inside (where the inside is accessible). Particular attention is paid to evidence of corrosion of weld seams. In all cases, tank wall thickness is measured using an ultrasonic thickness gauge. This measurement can help establish the material wear rate. All inspections are carried out by a Chartered Engineer with a Confined Space cert. All inspection data is recorded using a smartphone app that also collects time-stamped and annotated photos of any defects.